Specifically designed for those who have been requested by Westchester County to complete a “Pistol Safety Course. 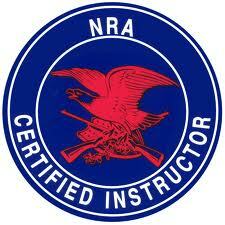 This course satisfies Westchester County’s requirement as a Pistol Safety Course. There is a preliminary on-line portion of this class which must be completed prior to meeting with the instructor for the classroom follow-up and shooting requirement. The instructor meets the statutory requirement of NYS Penal Law sec. 400 as a Westchester county certified firearms instructor. The shooting requirement will take place in NYC. While you have 90 days to complete the on-line portion of the class, Westchester typically gives you 30 days to take your class to be eligible for license renewal. Please don’t wait until the last minute to finish your class as we also need to complete the live fire shooting requirement at a range prior to you submitting your renewal paperwork (and class completion certificate) to Westchester. $210 is the cost of the course including range fees excluding ammunition. Register by clicking add to cart above and proceeding through our online checkout. The instructor will call you to answer your questions and schedule your training. © 2019 New York Concealed Carry. All Rights Reserved.